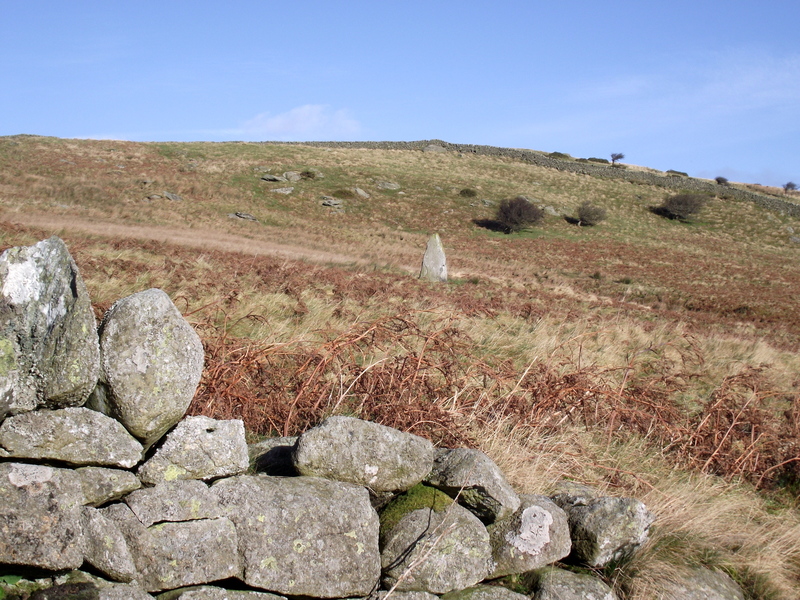 Living in the UK we don’t have to travel very far to find traces of those who lived here before us. 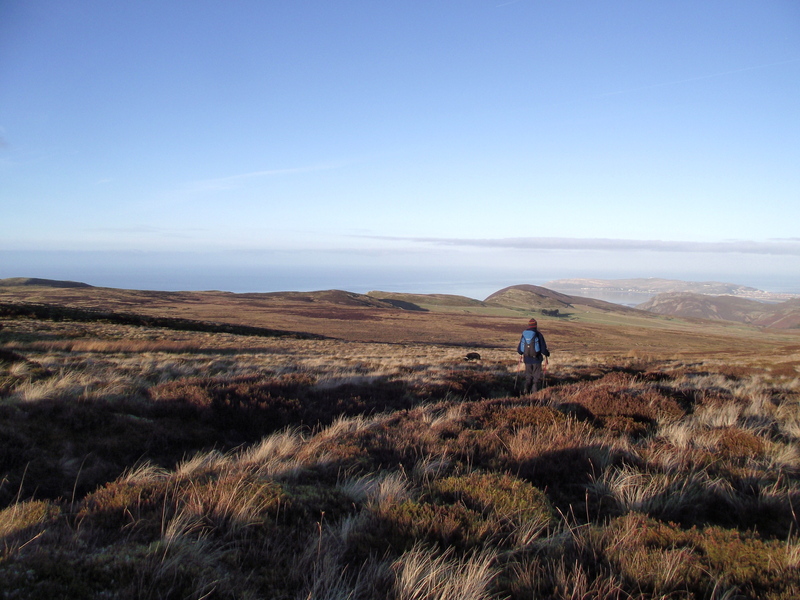 North Wales is particularly rich in examples, but pick almost any upland area of Britain or Ireland and you will find the traces of our ancestors stretching back over centuries and even millenia. 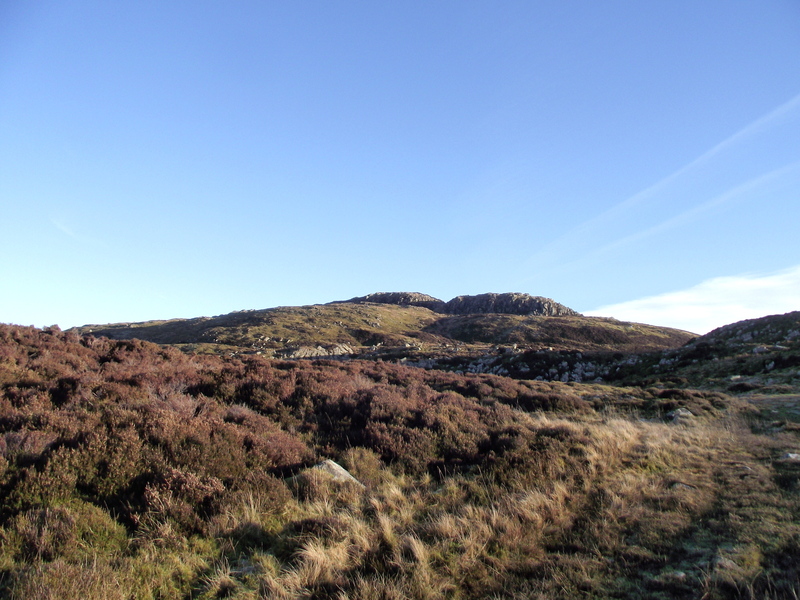 Why the upland areas? It’s all about the weather. 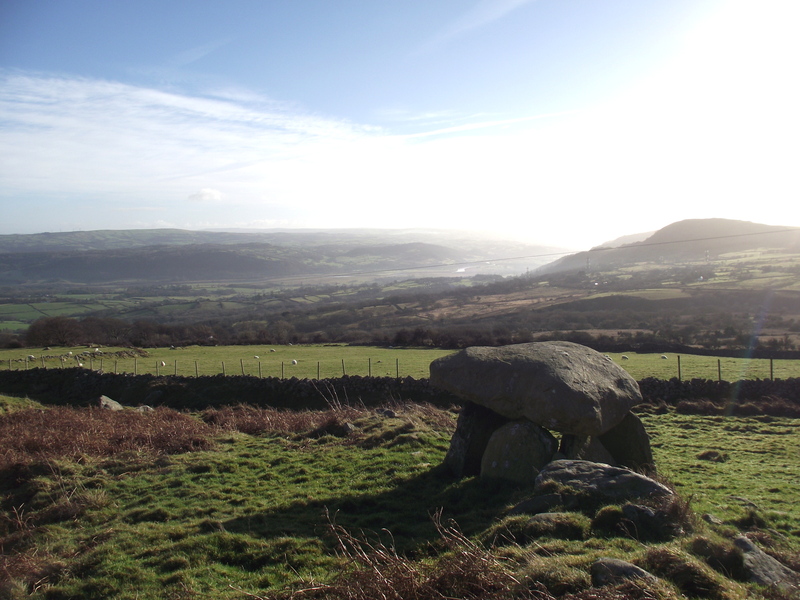 About 4-5000 years ago, the British climate was warmer and drier than nowadays, and areas now marginal were quite cosy – climate change later made these areas unattractive and difficult to farm. 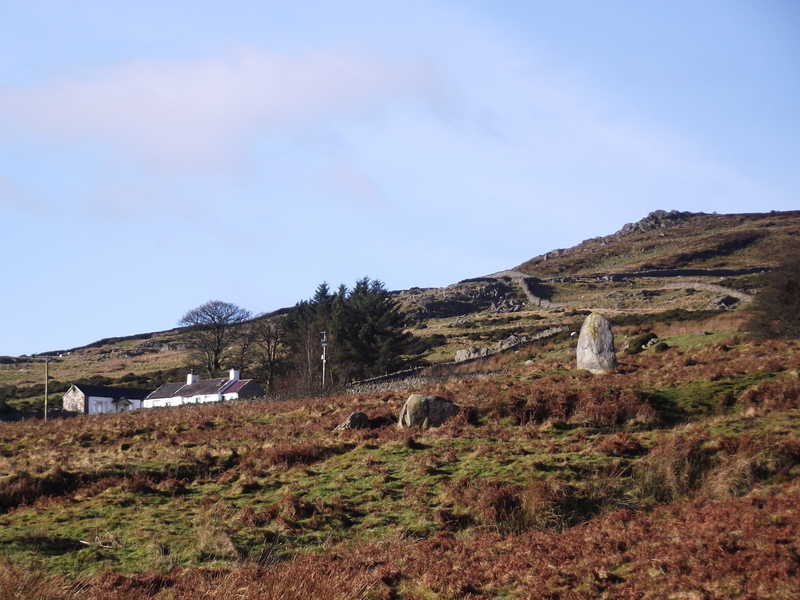 Because of that, many of the ancient remains have hardly been disturbed over the succeeding centuries – when you are engaged in subsistence agriculture, you usually have better things to do than knocking down ancient stone circles! 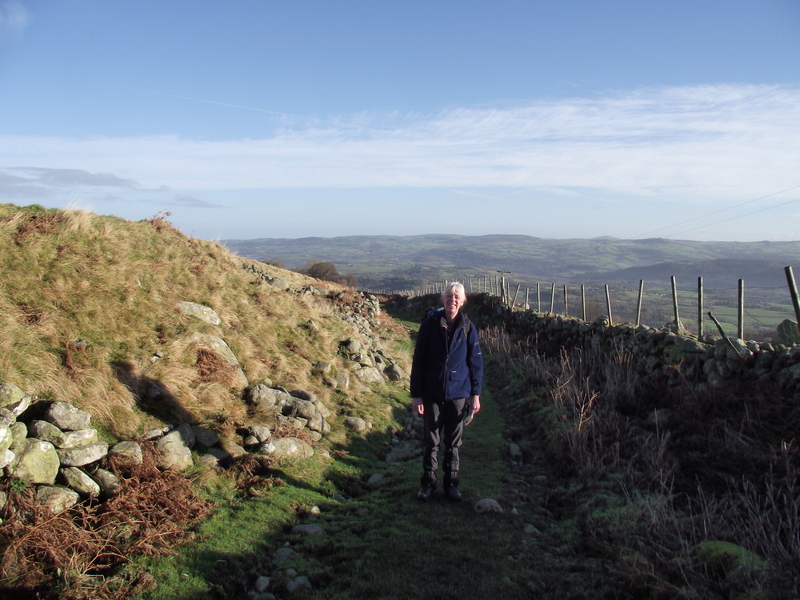 Chris and I had decided on a bit of time travel, following part of the route of the old Roman road from the tiny settlement of Caerhun (Canovium) to Caernarfon (Segontium). 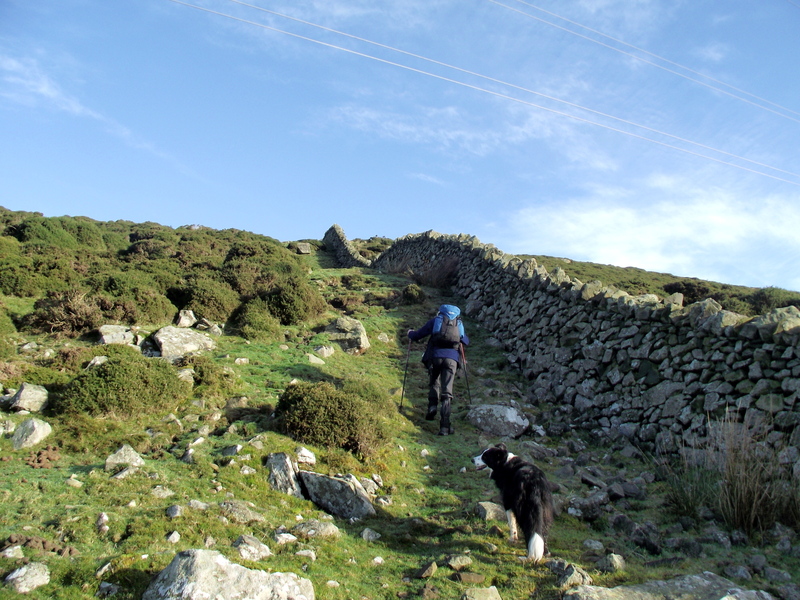 Anything Roman is not far off two thousand years old, which is already pretty ancient, but the route we followed, starting from the Youth Hostel above Rowen, was already old when the Romans arrived on the scene. Just the right size for a dog kennel! 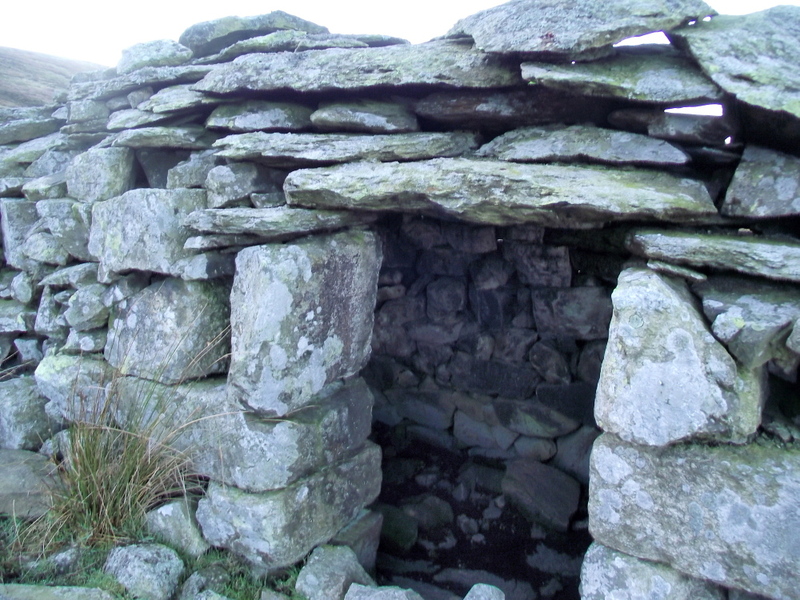 The Neolithic people knew this pass 5000 years ago, and the Romans came this way 3000 years later. 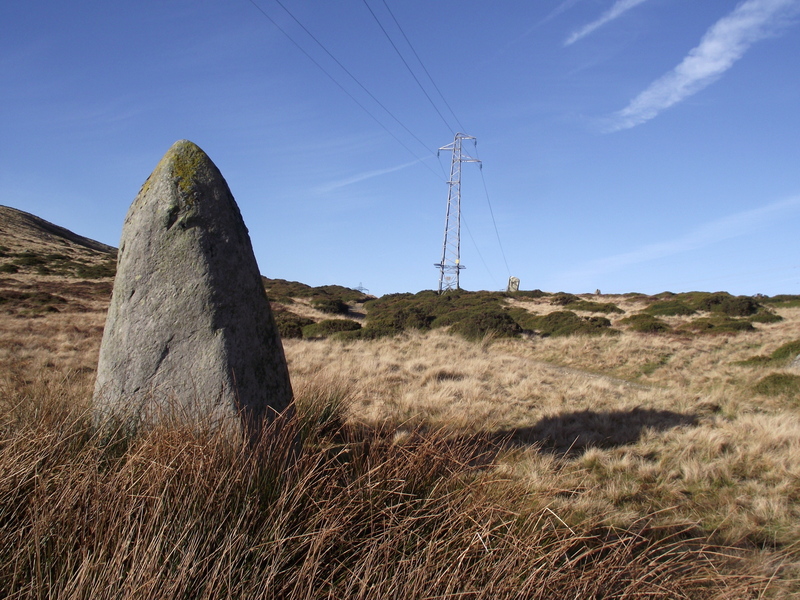 More recently, drovers would have herded their cattle along here and 20th Century man added power lines and pylons – the two Neolithic standing-stones, two and three metres in height respectively, will probably outlast all the other traces of human activity. 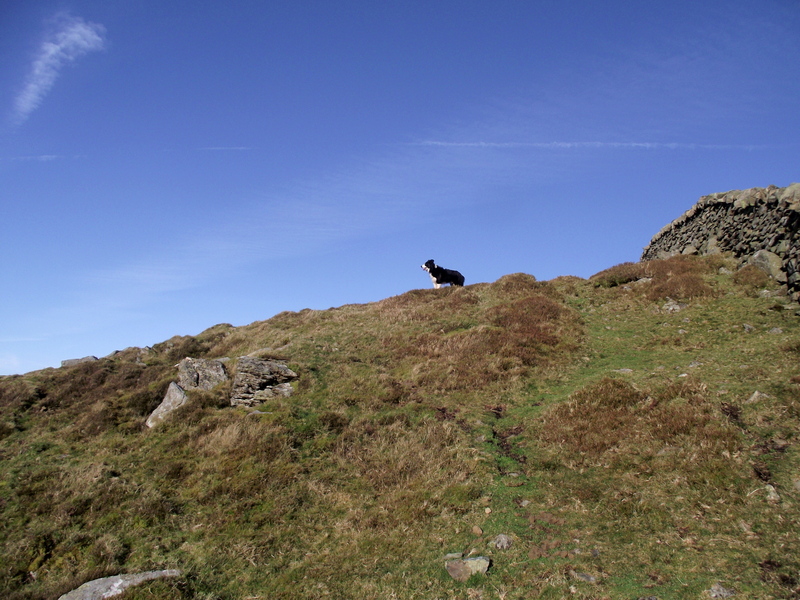 ‘Mist’ weighing up the local wild-life …. 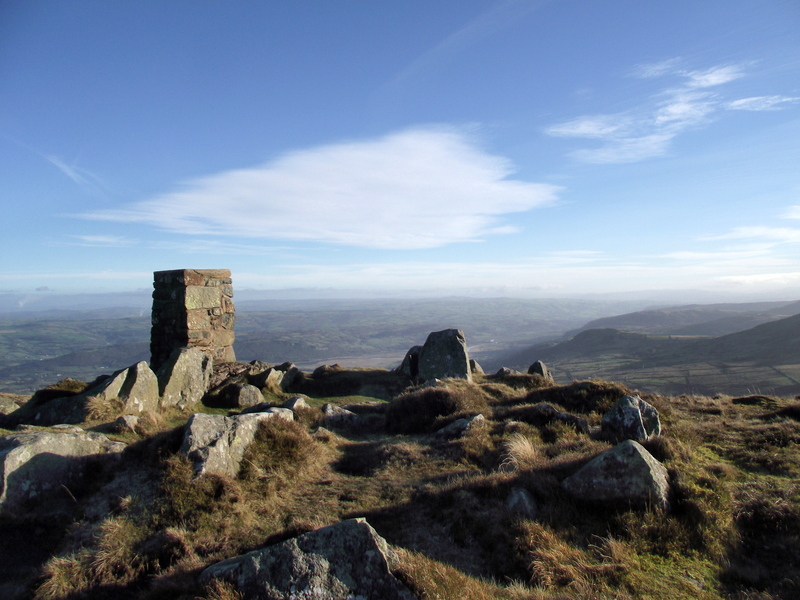 For us, it was time to leave this ancient by-way to follow something even older, the hill ridge with the summits of Foel Lwyd and Tal y Fan – the second is the most northerly 600 metre peak in North Wales, and at 610metres (2001ft) height it just achieves the status of being classed as a mountain. Readers outside the UK may consider it stretching things a bit in calling a 600 metre hill a mountain, but what these hills lack in altitude they make up for in their northerly latitude, and also in their ‘attitude’, being near enough to the sea to be influenced by maritime storms – for small hills, they have the ability to bite you when you least expect it! For us it was a sunny day, though chilly in a cold January wind. 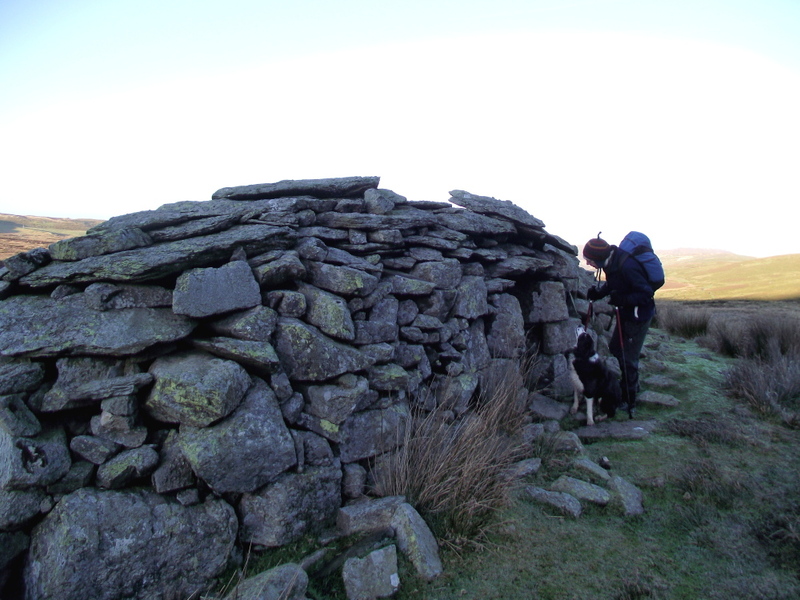 We passed an old stone hut, probably originally used by shepherds or quarrymen, before arriving at our last standing stone, Maen Penddu. 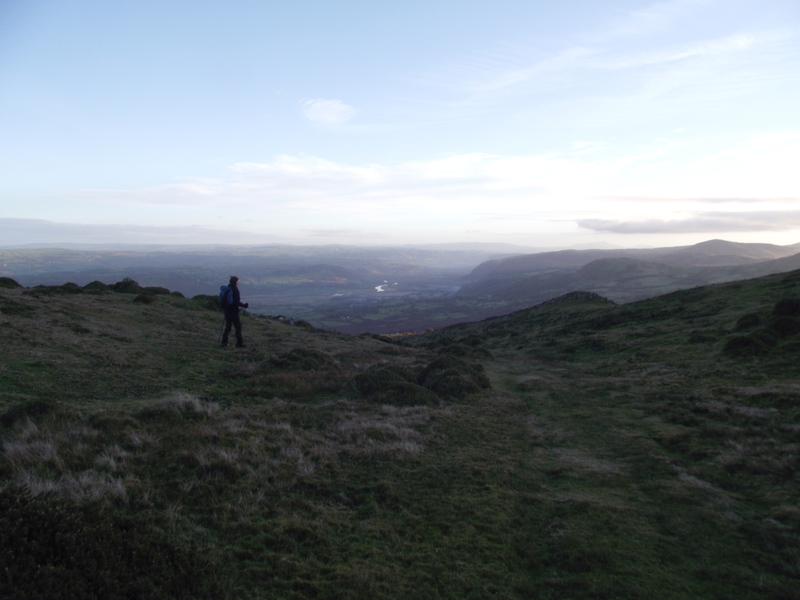 From there a short height gain set us up for a steady descent back towards Rowen Youth Hostel. 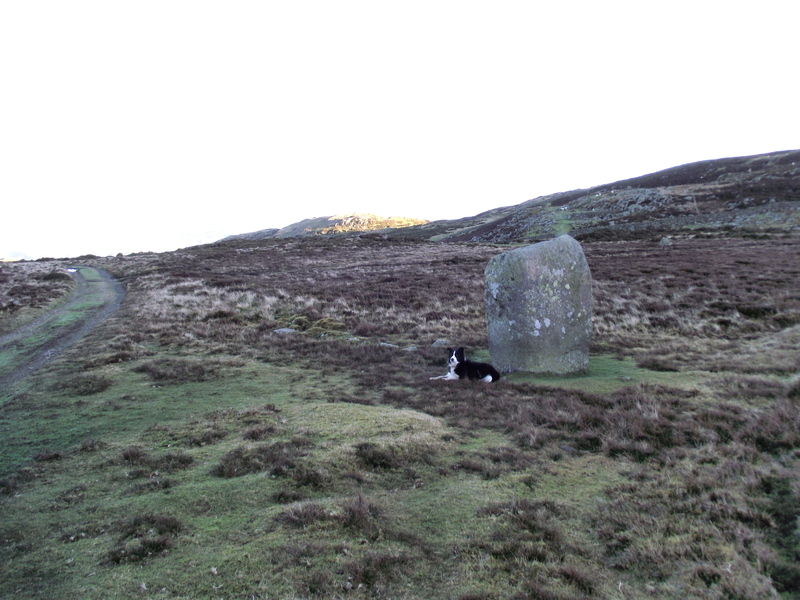 The light was just starting to change, but in deference to Chris I timed it so that we were down before dark – a pity really, as I’m sure those ancestors must still roam these hills when dusk falls! This entry was posted in 5. 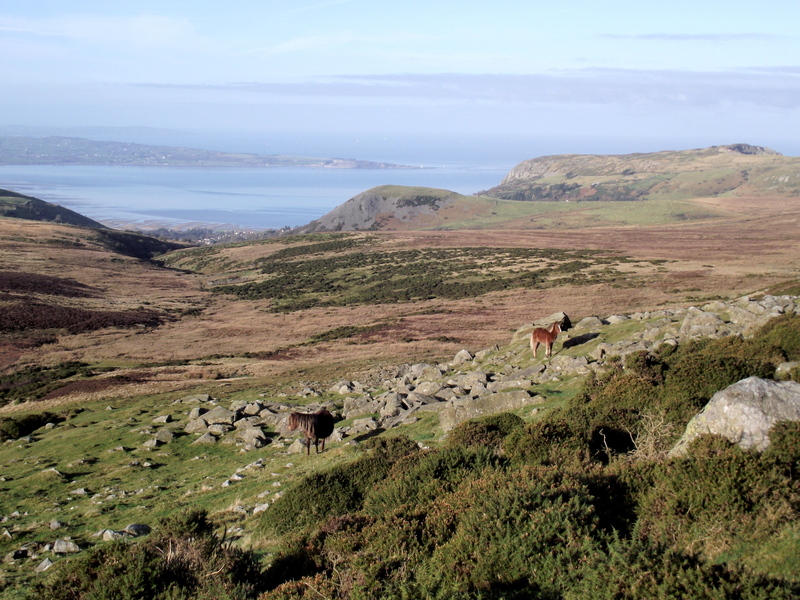 North Wales and tagged Carneddau, hillwalking, mountains, photography, Snowdonia. Bookmark the permalink. 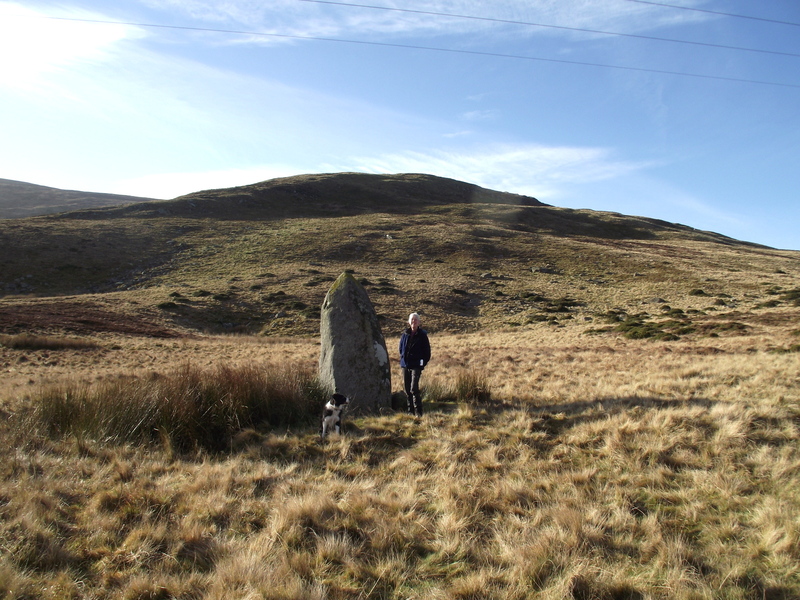 Really interesting post Paul, the timescales between successive peoples always intrigues me. Thanks for that Mark. 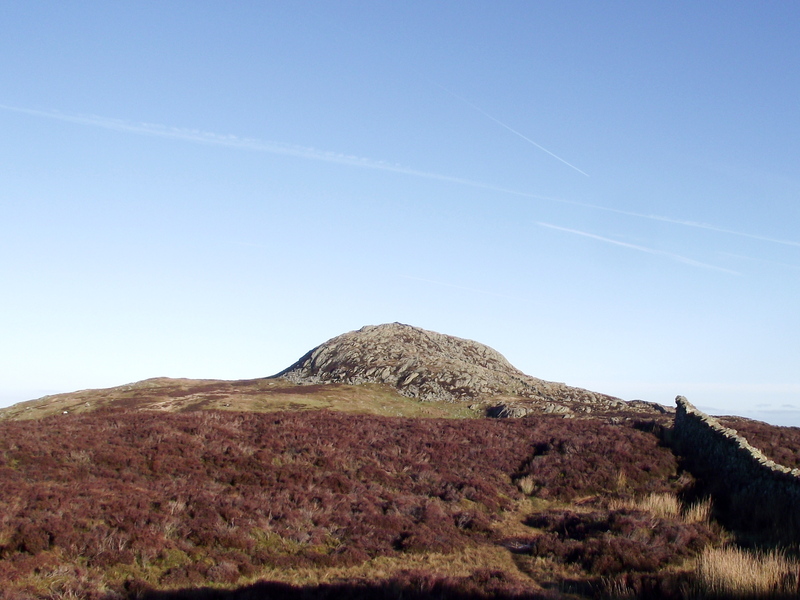 The great thing is that there are examples all around us, and I’m sure you could tell a tale or two about the moors you walk near your home. Very interesting. 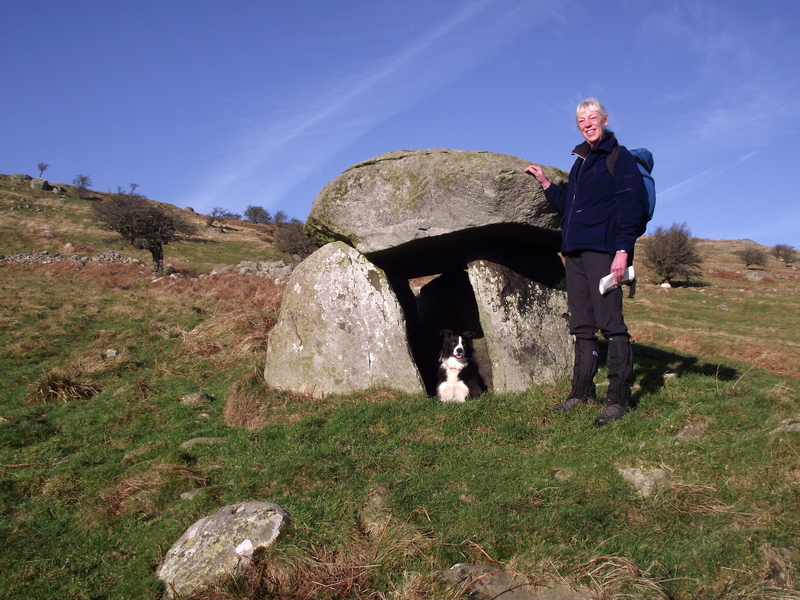 The Maen y Bardd tomb is very similar to some I’ve seen in Cornwall. 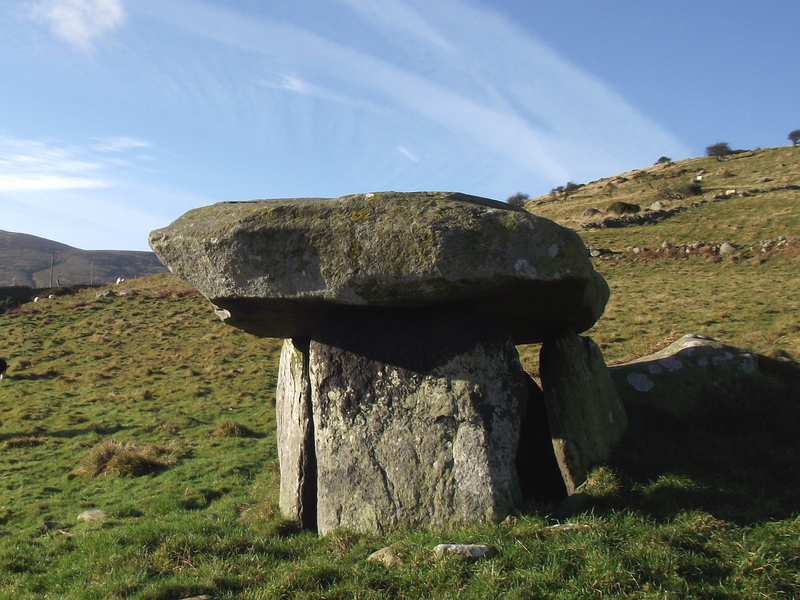 A particualrly interesting one is Trevethy Quoit. The capstone has a hole in it but no one knows why. 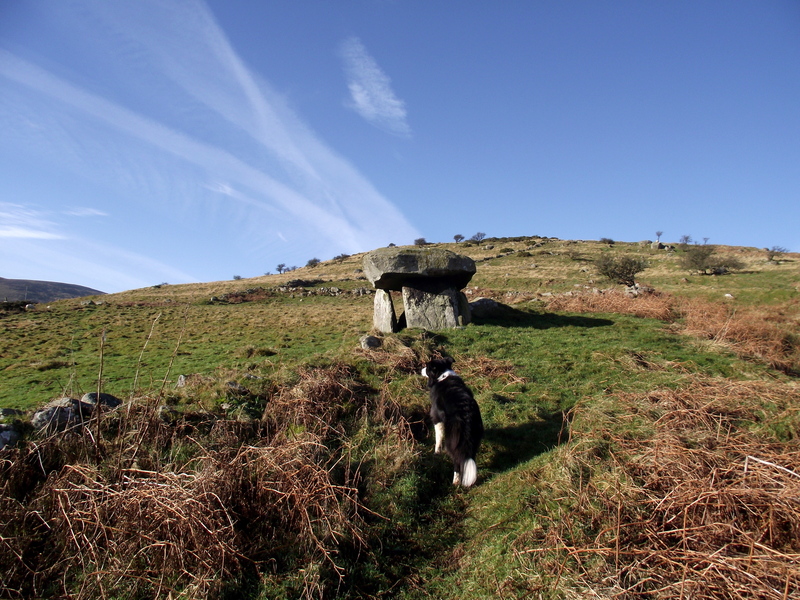 Your Trevethy Quoit pic is superb, Lance! Thanks for that. I have to say I like walking with a bit of history. Mist obviously appreciates it too! 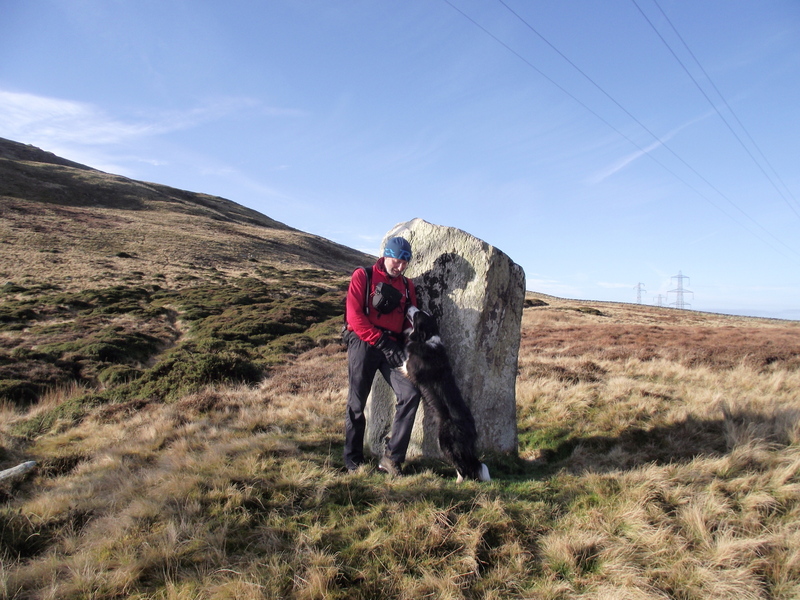 Mist is probably more interested in the ‘Spiller’s Shapes’ in the top pocket of my sack, but I’m with you Chrissie, a bit of a story or a trip back in history can bring a walk to life! Cheers SP – I share your love of history, and a good story enhances a walk. 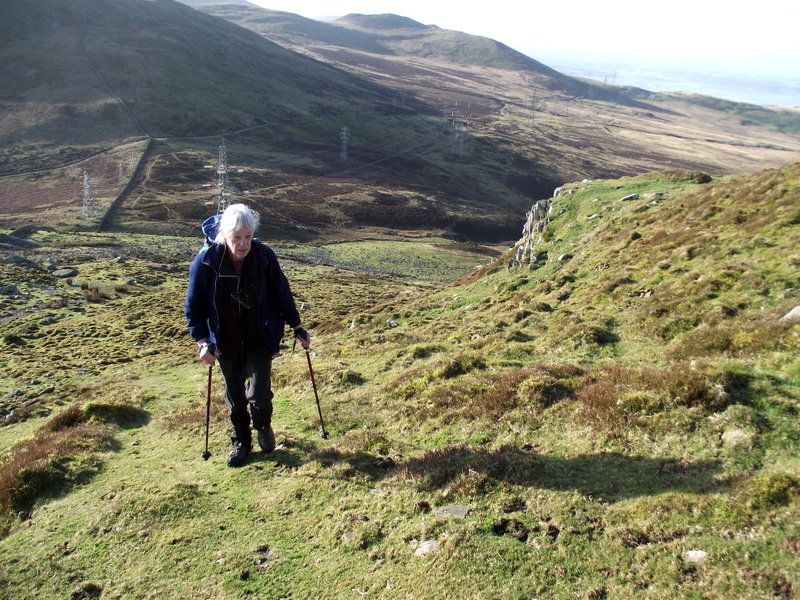 Chris looked to be enjoying every minute of that walk – with the possible exception of the climb. Or was it just deep concentration! Mist doesn’t seem to notice if she’s going up, down or round in circles – it’s all fun fun fun. 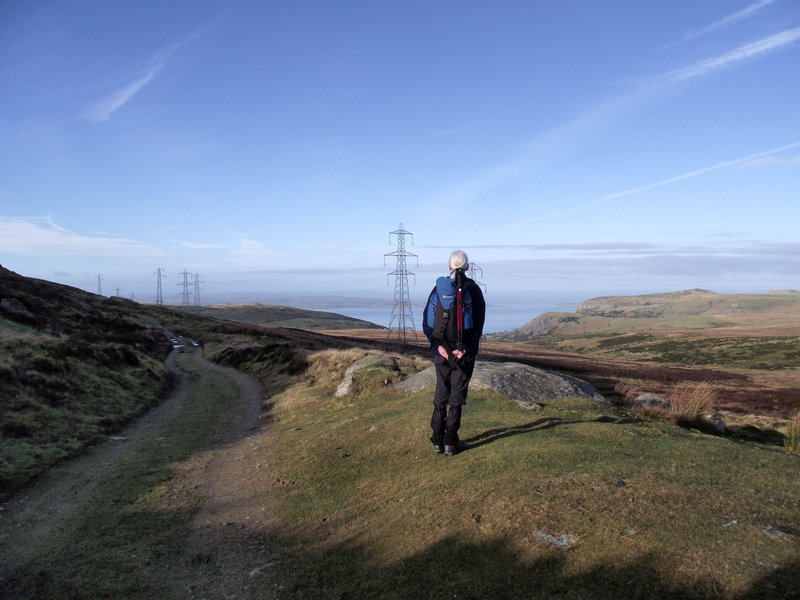 I dislike pylon wires too – I have to go under quite a few on one of my regular cycle/walking routes and they make the most horrendous crackling noise. It was a great day out, with just a bit of chill in the air, but great light as you say. All this pylon stuff is a bit of a bind, isn’t it? We don’t want pylons, wind-farms, nuclear power stations, coal powered power stations, etc, but we want to run our computers, boil the kettle, etc.